James Canyon Reconstruction – DRIVE SAFE! 25 MPH IN CANYON! PLEASE stay alert, observe all safety signs and take care around flaggers! Watch your speed – 25 MPH in the canyon! Click here to get the latest information, including traffic updates! 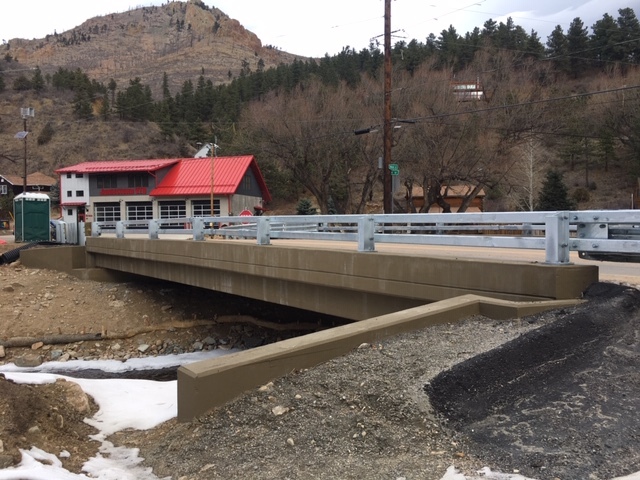 Boulder County, Colo. – Boulder County Transportation and its project partner and contractor Kelley Trucking, Inc. (KTI) anticipate beginning the James Canyon permanent flood recovery project at 7 a.m. on Monday, May 15. The project is expected to last until December 2018. Flood recovery-related permanent reconstruction will take place on 4.8 miles of James Canyon Drive between the intersection of Lefthand Canyon Drive and just west of Balarat Road/CR 87. In addition, 6,300 feet of stream restoration work will take place in various stretches of James and Little James creeks. To accommodate construction, KTI will be allowed to reduce James Canyon Drive to a single lane in multiple locations in the canyon. Some of these lane reductions will be in place 24-hours a day, seven days a week. Vehicular and bicycle travel will be controlled by either traffic control personnel (flaggers) or traffic signals. The length of delay will vary at each location, but are not to exceed 15-minutes. Cyclists will be permitted to ride on James Canyon Drive during construction, but they will be asked to follow the same travel restrictions as motor vehicles. Due to large volumes of heavy construction-related vehicular traffic, Boulder County Transportation is asking that cyclists ride James Canyon outside of normal working hours (see information below). When cyclists traveling uphill towards Jamestown are stopped at traffic signals or by traffic control personnel, they will be asked to move to the side of the road in order to allow faster moving motor vehicles to proceed through the work zone before entering the zone themselves. Working hours – Nov. 1 to Feb. 28 – 8 a.m. and 4:30 p.m. The Jamestown Mercantile and the post office will maintain normal business hours during construction. Access to these establishments and residential driveways will be maintained at all times. Maintain the cultural and historical significance of the area. You can find complete roadway travel restriction information by visiting www.JamesCanyon.com. While visiting the site, sign up for the project listserv to receive weekly and timely construction updates and up-to-the-minute information on roadway closures and travel delays. Travel restriction information for this project and all other county-related work is available at: www.BoCoConeZones.com.